There are plenty of Carolina Forest homes available in the 12,000 acres that make up Myrtle Beach’s fastest growing housing market. But with so many great options of Myrtle Beach homes for sale in this area, the problem can often be knowing which of the many great communities best fit your family’s need. That’s why we’ve created this simple, quick guide to the amenities and features which make each of the 20 neighborhoods in the area a great place to live. Here’s a closer look. simply click that community’s name to view our current MLS listings in the area or visit their websites for more information. 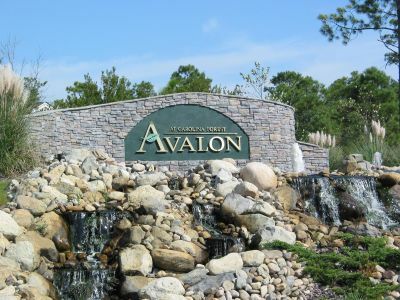 Built in 2000 by Pinehurst Homes and later developed by Beazer Homes, Avalon is a family community full of great Carolina Forest homes. It’s conveniently located in the center of Carolina Forest Boulevard and features an 11-acre community center with a junior Olympic swimming pool, softball and soccer fields, a full-size basketball court, a playground and more. Located west of the Intracoastal Waterway where River Oaks Drive and Carolina Forest Boulevard meet, this village-style community of single-family homes was built in 2003 by Centex Homes. It provides easy access to nearby schools like Ocean Bay Elementary and Middle School and the Food Lion Shopping Center. Developed in 2006 and managed by Flagship Capital Partners, this gated community features 284 luxury homesites. 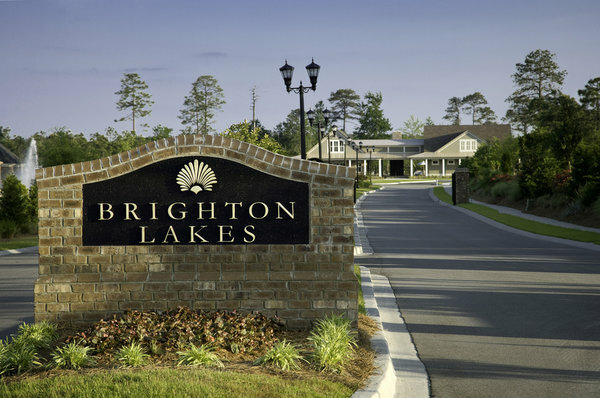 Located off of River Oaks Drive and near the new River Oaks Elementary School, any of the Brighton Lakes homes for sale offers access to an owner’s club, private clubhouse, children’s splash pool, adult lap pool, and many pristine lakes. Built in 2003, The Bluffs is a gated community features more than 400 single-family homes located near the Intracoastal Waterway off of River Oaks Drive. Amenities include community pools, two clubhouses, private boat storage and launch, tennis, children's play area and a grand entranceway. 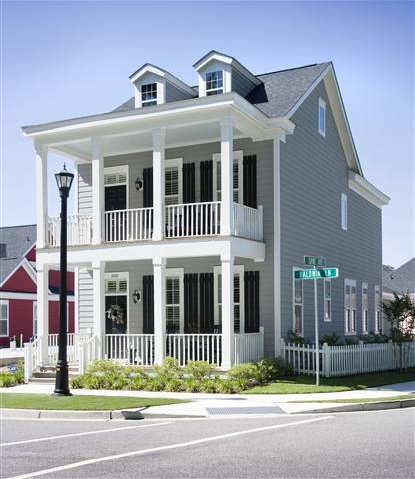 This upscale community was built in 2004 and sits on the Intracoastal Waterway featuring nearly 100 unique Charleston-style homes. Many of the waterfront lots are occupied by three-story mansions with pools and lavish interiors and all homes offer waterway views and shared boat docks. This gated community, built in 2002, features single-family residences and many custom estates. Amenities include a pool, lots of trees and large lot size up to 3 acres. Black Creek offers a quiet and serene country lifestyle and is a horse-friendly community, allowing barns on some properties. Constructed in 1998 and managed by Ginkgo Residential this apartment complex features one- and two-bedroom units that are conveniently located on the U.S. 501 side of Carolina Forest Boulevard, directly across the street from Carolina Forest Elementary School. 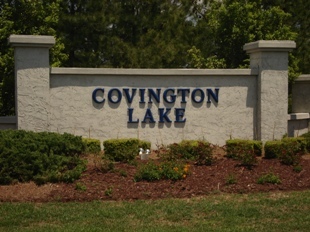 This subdivision on the west side of Carolina Forest Boulevard was built in 1996 and its sister community, the gated Covington Lake East, was added on the opposite side of the road in 2006. Covington Lake is made up of custom built brick and stucco homes — mostly 3 and 4 bedrooms — and the community includes a pool, playground, lit sidewalks, and 12 acres of lakes. Covington Lake East features more than 180 homes and lakefront sites as well as a community clubhouse with pool and recreation area, wide streets, hiking trails and more. Developed in 2004, this community is located on the banks of the Intracoastal Waterway off of River Oaks Drive. It offers custom-built single-family homes on large lots with private boat launch, boat storage, waterfront gazebo, gated entrance, a grand clubhouse, swimming pool, tennis courts and more. Built in 2003 and developed by D.R. 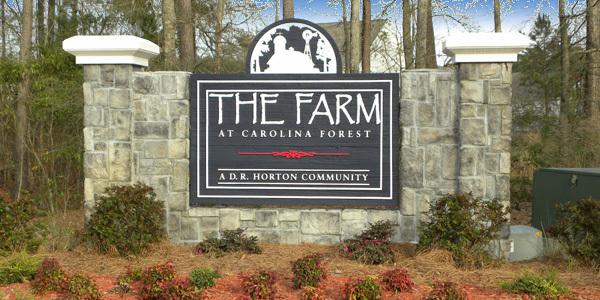 Horton homes, The Farm is the largest development in Carolina Forest featuring both single-family homes and condominiums. Amenities include an 8,000 square foot pool and community area with a large sand filled playground area, basketball court, ping pong table, fitness center, bike paths, a public garden, and a barn-themed clubhouse. 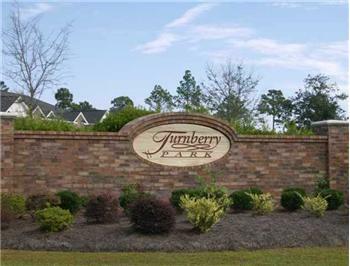 Indigo Bay is a brand new community built on a large 50-acre lake in the Carolina Forest area of Myrtle Beach South Carolina. The 392-acre neighboorhood 17 different house plans and layouts. Home Builders H&H Homes and Caviness and Cates are building throughout the Indigo Bay community. Affordable townhouses within the Farm community featuring interior and end units. 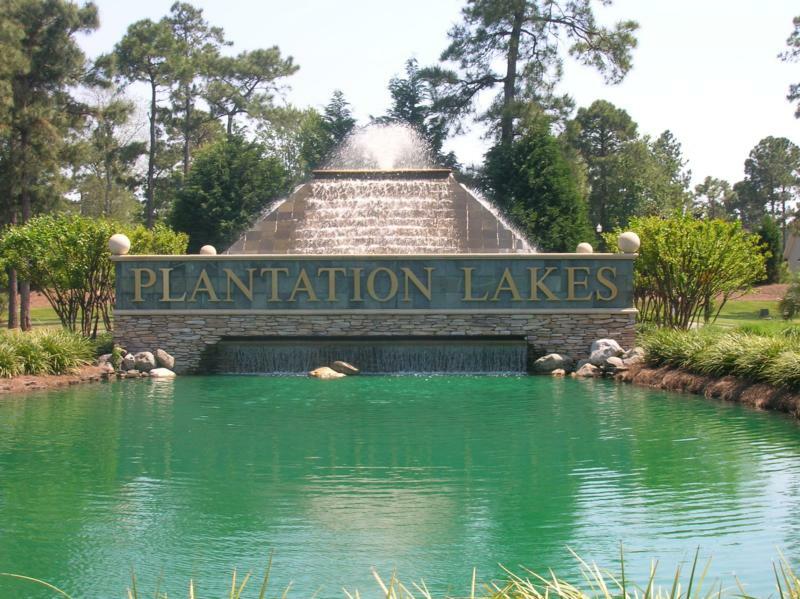 One of the most luxurious communities in the area, Plantation Lakes was built in 2003 and is located on the east side of Carolina Forest Boulevard. It is wrapped around 170 acres of lakes and ponds and allows residents to boat through the stocked lake, or stop by the huge amenities center with its swimming pools, fitness room, indoor and outdoor picnic areas, lighted tennis and basketball courts. Developed in 2004, this covenant restricted community is located on the east side of Carolina Forest Boulevard. 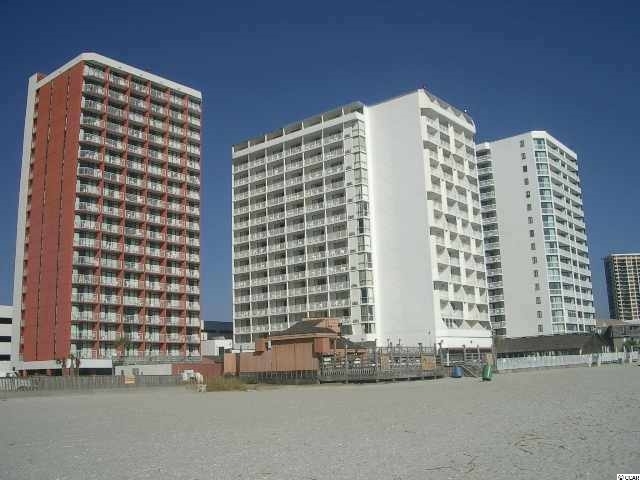 It consists of many condominiums and townhouses. Since 1999 Southgate has been offering affordable single-family homes located just off Carolina Forest Boulevard. Amenities include a Junior Olympic-sized pool, picnic area, and playground. 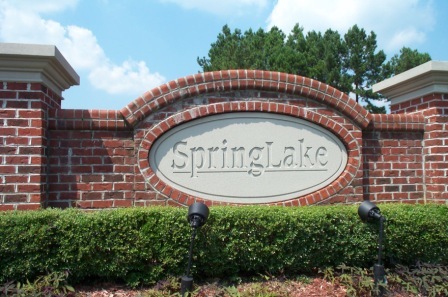 Built in 1997 and developed by Centex Homes, Spring Lake was one of the first large subdivisions in Carolina Forest. This community of single-family custom homes features a unique aesthetic for the area and amenities include a community clubhouse, pool, and a children’s playground. This planned condominium community is located across U.S. 501 in the middle of the Legends Resorts golf courses and was built in 2006. The affordable options here make it a popular place to live and amenities include jogging trails, natural ponds, sporting and picnic areas, a playground, tennis courts, a clubhouse, and community pools with hot tubs. This affordable family-friendly neighborhood was built in 2000 and developed by Beazer Homes. Each of these three- and four-bedroom homes offers attached garage and amenities include outdoor basketball courts and a swimming pool. Scheduled to be one of the largest and most-prestigious developments in Carolina Forest, the gated Waterbridge community is surrounded by 120 acres of federally protected woodlands. Launched in 2007 and with large portions still under construction, it features cottage-style homes, panoramic lake views, and an array of planned amenities. Waterway Palms is a planned, gated community with single-family homes designed to resemble the historic architecture of Charleston's Battery District. With many available lots and homesites, the area allows owners to build selecting from a variety of plans and having their homes custom built. Located just west of the Intracoastal Waterway, off of River Oaks Drive, this development offers amenities such as an enormous clubhouse, gorgeous pools, tennis courts, and a large gazebo area. 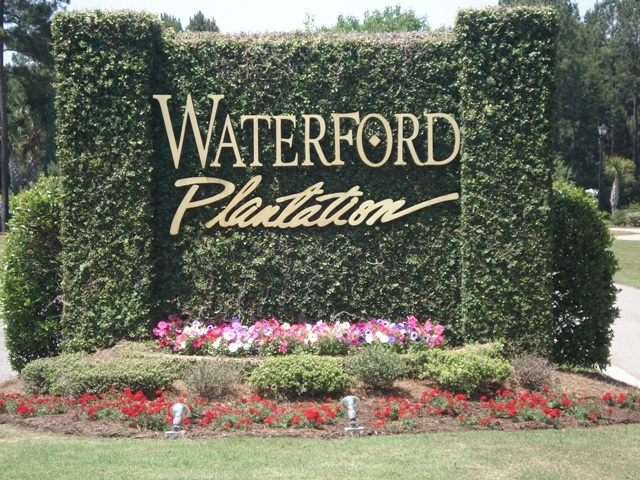 One of the first communities in the Carolina Forest area, Waterford is a short walking distance away from Carolina Forest Elementary. Featuring a top-notch amenities center with a junior Olympic pool and a cover cabana with a bar and restrooms, the community also offers a sand volleyball court, two tennis courts, a basketball court, children’s playground, and a fitness facility. This gated condominium community was built in 1998 as part of Waterford Preserve, located near The Wizard Golf Course. Amenities include swimming pools, a clubhouse, playgrounds, BBQ grills, fishing ponds and sidewalks throughout the community. Earlier this year the community fell victim to a severe wildfire destroying 26 buildings and more than 100 units. It is in the process of being rebuilt. Listing courtesy of Beach & Forest Realty , Mary Ann Graham. Listing courtesy of CENTURY 21 Boling & Associates , Denise Farley. Listing courtesy of Century 21 The Harrelson Group , Joe Sulich. Listing courtesy of CB Chicora Advantage CF , Amberly Green. Listing courtesy of Quas Realty , Eva Rigney. Listing courtesy of Keller Williams MB S. Realty , Casey Kurucz. Listing courtesy of RE/MAX Ocean Forest , James Haas. Listing courtesy of BRG , Chris Koppel. Listing courtesy of CENTURY 21 Boling & Associates , Jamye Crossingham. Listing courtesy of CB Chicora Advantage Surfside , Victoria Fattoross. Listing courtesy of Beach One Realty LLC , Jacob Mullins. Listing courtesy of Beach & Forest Realty , Bobby Jones. Listing courtesy of Booe Realty , Beth Campbell. Listing courtesy of The Trembley Group, Inc. , Michael Bralley. Listing courtesy of Peedin Real Estate , M.A. Peedin. Listing courtesy of Real Living Home Realty Group , Brad Jordan. Listing courtesy of Ocean Breeze Properties, LLC , Tamara Reid. Listing courtesy of NHD Realty, LLC , Esti Simantov. Listing courtesy of Real Estate Advocates MB , Ruwan Gunawansa. Listing courtesy of Keller Williams MB S. Realty , Craig Dierksheide. Listing courtesy of Real Estate By The Sea , The Britt Page Group. Listing courtesy of CENTURY 21 Broadhurst & Associ , Amanda Unerli. Listing courtesy of BHHS Myrtle Beach Real Estate , Patrick Zarcone. Listing courtesy of Century 21 Stopper &Associates , Victor Duval. Listing courtesy of RE/MAX Southern Shores NMB , Jewell&Kristi Knight Team.